Tinted glass helps to regulate a building’s temperature as it is designed to absorb energy from the visible light spectrum. The design applications of glass are as limitless as the imagination. Glass coatings and colors can be applied primarily for aesthetic purposes, yet the performance benefits are an added - sometimes necessary - bonus. 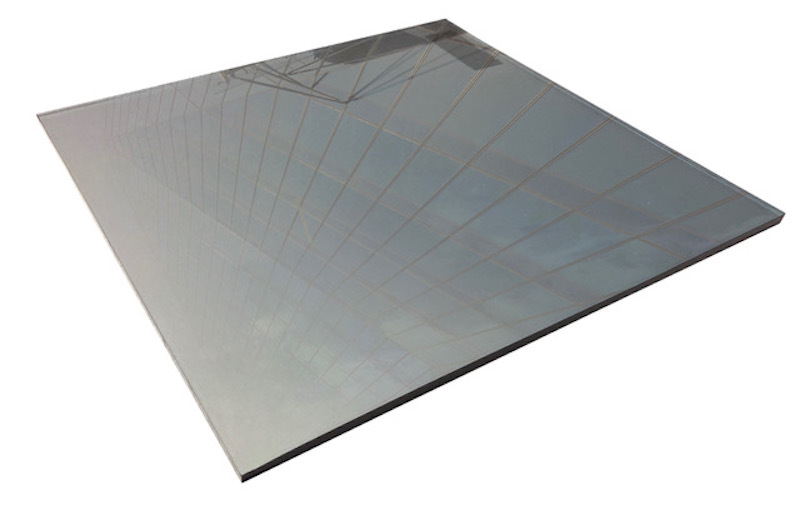 Tinted glass is one type that satisfies both of these considerations, enhancing the appearance of a building façade while improving its solar performance. From the exterior, tinted glass is distinctive, reflective, and can make a statement when applied to the majority of a building envelope, or if it is contrasted with other façade materials. Tinted glass can be used to form a curtainwall, and is most often used in commercial applications, offices, and other large facilities. It is ideal for storefronts, atria, skylights, and also interior designs. Performance-wise, tinted glass helps to regulate a building’s temperature as it is designed to absorb energy from the visible light spectrum. It has the capability to reduce glare, and offer unobstructed views when looking from the inside out. Since tinted glass can be specified in a range of colors, it also has the ability to make an additional aesthetic statement on top of these performance capabilities. Popular colors for tinted glass include bronze, greys, blues, and greens, and can be specified from leading glass manufacturers like AGC Glass North America, whose tinted glass product, Solarshield®, is crafted using the float glass process. This results in a perfectly flat, smooth, glass surface. In keeping with modern demands and trends, AGC Glass is now enhancing its line of offerings to include Majestic Gray, a subtle, soft grey glass that lends itself to myriad applications, providing solar protection, and a unique look that works in tandem with other building materials. In fact, one concern with most tinted glass products is that they offer a pronounced contrast from other elements of the building façade. This can work to the architect’s advantage if they want to make the glass stand out as part of their design. However, if they require a more muted façade where all elements unite, then Majestic Grey can offer an advantageous design solution. As construction and design trends shift away from all-glass facades, a solution like Majestic Grey can be ideal for use with other materials. Because of its unobtrusive, subtle hue, this light grey glass can complement stone, tile, steel, metal plate, and other products to work in harmony. Additionally, it is a versatile, light grey glass from the world’s largest glass manufacturer, offering 65% visible light transmission for plentiful natural light – a necessity for many contemporary structures and one that satisfies the overarching focus on wellness and access to the outdoors. The unification of performance and aesthetics is entirely possible with products like Majestic Grey, and such glass can be a means to achieve superior light transmittance, top aesthetics, and be current with contemporary design trends.